Have you ever heard of a sport called jugger? At Wasteland Weekend, it’s all the rage. Stemming from the 1989 Rutger Hauer film The Blood of Heroes (a.k.a. 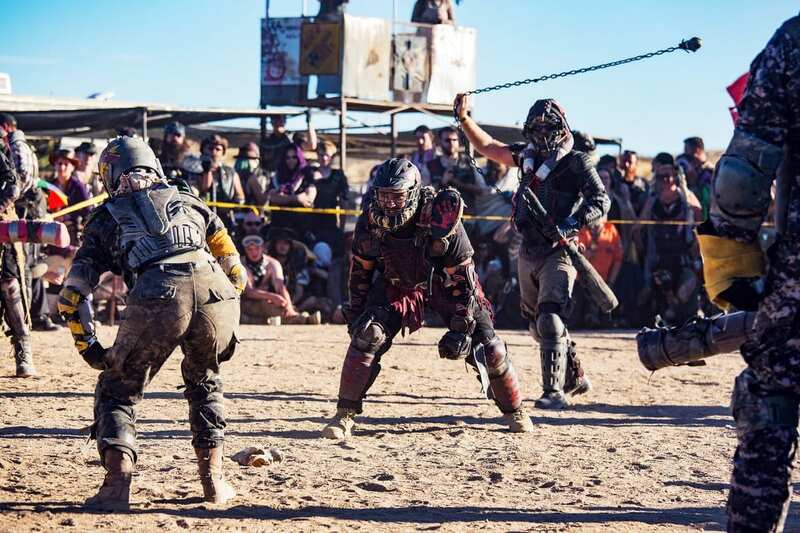 The Salute of the Jugger), itself heavily inspired by the Mad Max world, there are people so enthusiastic about this sport that it’s generated its own leagues across the globe. A jugger match is like rugby, capture the flag, and post-apocalyptic bloodsport all in one. The players are divided into two teams, whose objective is to capture a dog skull in the middle of the patch. Scrappy runners called ‘qwiks’ must seize the skull and dash with it to the goal. They can be intercepted by being bludgeoned — safely, of course.